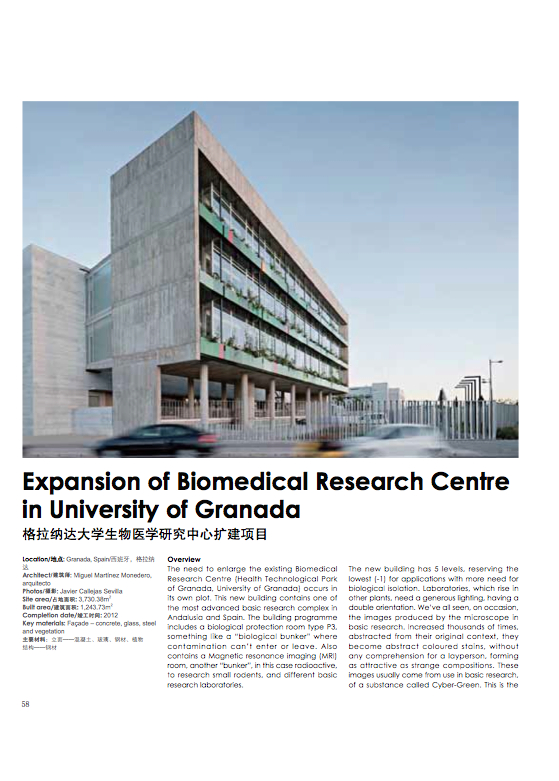 “Expansion of Biomedical Research Centre in University of Granada”. 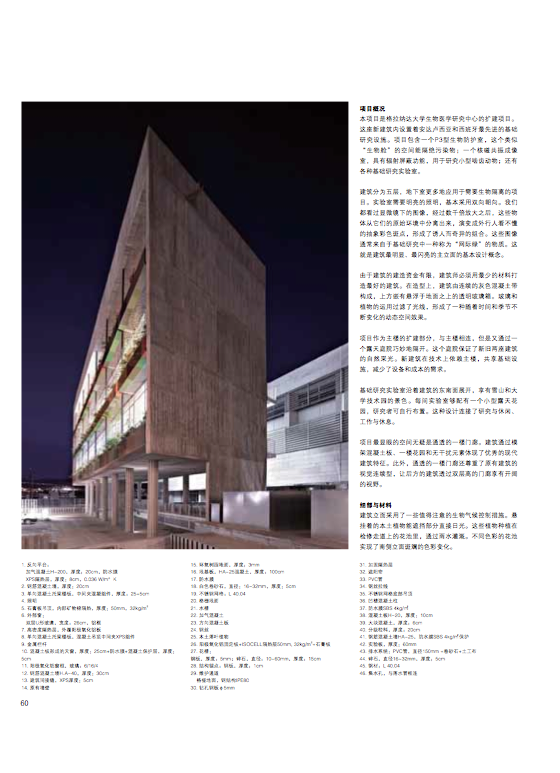 En: “Achitecture Design Yearbook 2014″, AA.VV. Editorial Liaoning Science and Technology Press, Shenyang (China), 2014, pp. 58-61. ISBN: 9787538187441. 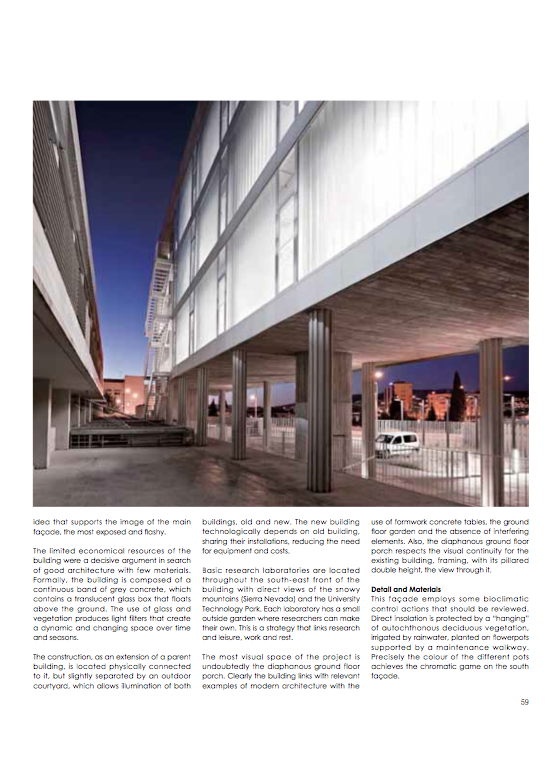 The need to enlarge the existing Biomedical Research Centre (Health Technological Park of Granada, University of Granada) occurs in its own plot. This new building contains one of the most advanced basic research complex in Andalusia and Spain. 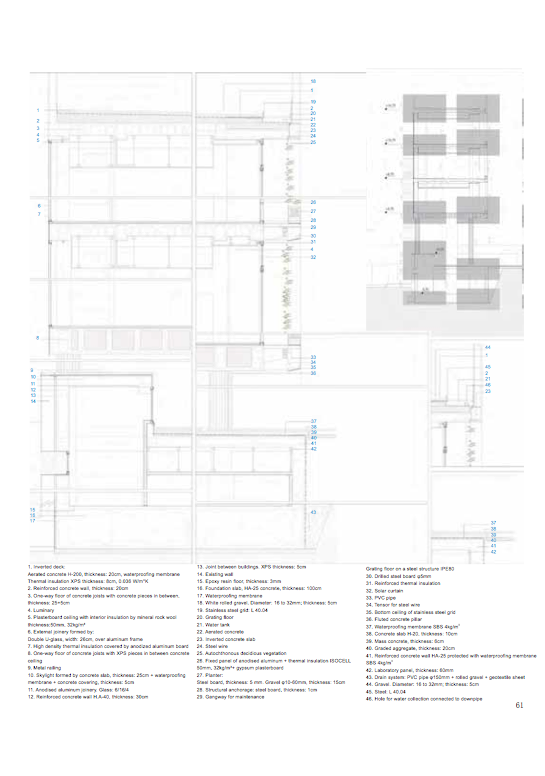 The building programme includes a biological protection room type P3, something like a “biological bunker” where contamination can’t enter or leave. Also contains a Magnetic resonance imaging (MRI) room, another “bunker”, in this case radioactive, to research small rodents, and different basic research laboratories. The new building has 5 levels, reserving the lowest (-1) for applications with more need for biological isolation. Laboratories, which rise in other plants, need a generous lighting, having a double orientation. We’ve all seen, on occasion, the images produced by the microscope in basic research. Increased thousands of times, abstracted from their original context, they become abstract coloured stains, without any comprehension for a layperson, forming as attractive as strange compositions. These images usually come from use in basic research, of a substance called Cyber-Green. This is the idea that supports the image of the main façades, the most exposed and flashy. porch respects the visual continuity for the existing building, framing, with its pillared double height, the view through it. This façade employs some bioclimatic control actions that should be reviewed. Direct insolation is protected by a “hanging” of autochthonous deciduous vegetation, irrigated by rainwater, planted on flawerpots supported by a maintenance walkway. Precisely the colour of the different pots achieves the chromatic game on the south façade.